GrandChase is a MMO game. It is based on a game with the same title which was a 2D side-scroller released in 2003. Several spin-offs followed and then the game developers went quiet in 2015. After three years of silence, they decided to reboot the original game. 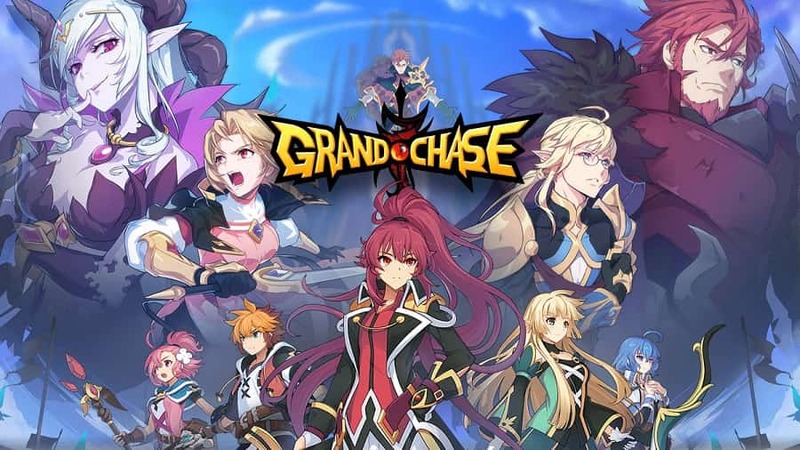 The world of GrandChase is set in a chaotic world with anime-style animations. The realm is suffering from the constant battles between goddesses and demons that are causing the opposing kingdoms to fall into ruin. 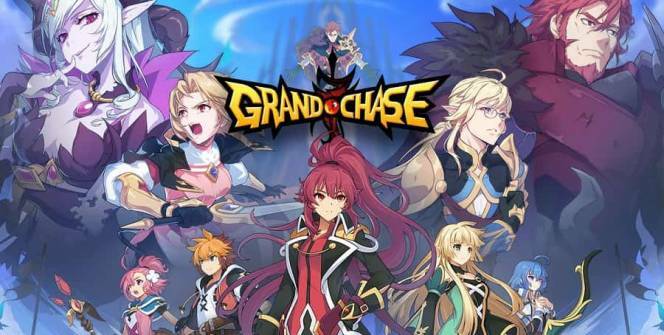 GrandChase is the name of a group of adventurers who are hunting a sorceress who calls herself Kaze’aze. Close to 90% of this game is played on the battle screen. Each battle starts out with the player choosing a party of four heroes and each hero has a specific role to play. These roles include a tank, a ranged attacker, a melee attacker and a healer. Moving the characters around is a simple process. You just point and click at the area you want them to occupy and they will go there. When the battle starts, the controls change slightly to give you more precision when deciding on where to attack from. The characters that you fight with have two special skills each. The skills are fun to use and the screen slows down when you use them so that you can choose a precise spot where the attack will land. Heroes can learn more skills however only two can be taken into battle at a time. Skills count as special attacks therefore there is a cooldown timer which limits how often you can use them. Enemies have skills as well and you will know when you are about to be struck with one because the area that you are standing on will turn red. You need to move out of that red circle as fast as possible. Completing missions earns you experience points. These points can be used to power up your heroes or add more heroes to your party. You can choose from over 100 heroes to add to your party and each one comes with different abilities. If you are struggling to gain experience points then you can always bolster your squad using in-app purchases. GrandChase uses Gacha mechanics. These designs look good on-screen and give the players many options for customizing their looks. The game has 8 different regions that players can explore. Each of them has 9 missions which means that you will have a total of 72 missions to complete before the game is over. This means that players can enjoy up to 12 hours of play time which is rather high for a mobile game. The difficulty is quite high and you are likely to find yourself struggling against the first enemies if you are not paying close attention. 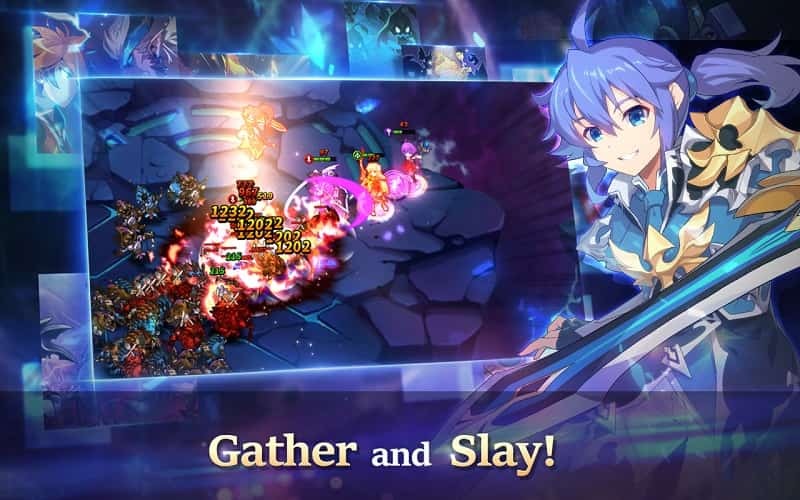 GrandChase is a fun and interactive blend of Gacha and RPG. You’ll see many of the features from this game in many other games but non of them puts them together as well as GrandChase for PC does. Sometimes when playing GrandChase, bluestacks ask you fee to pay but gives you option to download some apps. Every time it asks you just select “Install apps” and continue using it free. I hope you enjoyed this article, please rate and share. If you have problems running GrandChase on your desktop or any other issues, leave a comment below.